In Florida: Grove XXIII, the course spearheaded by basketball great Michal Jordan, (named for the number 23 he wore on his uniform) the short course is grassed with Trinty Zoysia on the greens. This Hobe Sound private club’s championship course is grassed with Trinty Zoysia tees and Zeon Zoysia fairways. In Texas: the very first golf course to be grassed wall-to-wall with Primo Zoysia—tees, fairways, and greens.—begins construction spring 2019, grassing starts spring 2020. Developers Tour 18 and The Caldwell Companies are creating a 2000-acre master-planned community with a golf course (as yet unnamed) in North Houston, Texas. In Australia: Indooroopilly Golf Club in Queensland is the first golf club in the country to plant a Trinity Zoysia green. In SE Asia: test greens of both Trinity Zoysia and Primo Zoysia were planted at The Singapore Island Country Club. In The Bahamas: Tiger Woods’, new short course design at Jacks Bay will have nine greens planted in Primo Zoysia. It is growing in now. In Jamaica: White Witch Golf Course planted 10 golf greens with Primo Zoysia so far with remaining holes grassing this summer. “We now have four BRF Zoysia varieties suitable for use on golf course greens. Primo Zoysia, Trinity Zoysia, Lazer Zoysia, and Prizm Zoysia, are the culmination of 30 years of research, development and real-world trials. It is so gratifying to see it come to fruition. I truly believe Zoysia for greens is poised to revolutionize golf course management because of the low inputs required and outstanding drought tolerance. It’s what I’ve dedicated my career to achieve,” said David Doguet, president of Bladerunner Farms, the world’s largest independently owned Zoysiagrass research facility. David Doguet has preached the gospel of the benefits of zoysiagrass for more than three decades. And now, after more than 30 years of research and real-world application, it appears the golf industry is made up of zoysia true believers. Doguet, president of Bladerunner Farms and recognized worldwide as an expert on zoysiagrass, now has four new varieties on the market suitable for use as greens grasses. BRF Primo, BRF Lazer, BRF Prizm, and BRF Trinity Zoysia, with their low inputs, drought tolerance, and superior playability, are no longer a promise for the future, they are available today. The future of greens grass, it appears, is now. Even with four new greens-grade zoysias in the Bladerunner portfolio, research and development continue. In the National Turfgrass Evaluation Program’s (NTEP) 2013 National Warm Season Putting Greens Test, Bladerunner Farms sponsored seven of the 10 zoysia varieties in the trials with two released to the public as DALZ 1308 (Lazer) and L1F (Trinity). Bladerunner Farms, along with Team Zoysia and Team Zoysia International, works with Dr. Ambika Chandra at Texas A&M University and Dr. Brian Schwartz at the University of Georgia to develop and continue to test these new zoysia varieties. At the University of Tennesse, Dr. John Sorochan is doing grow-in and maintenance studies on the Bladerunner greens-type zoysias. In the U.S., Bladerunner has more than 50 test sites from coast to coast. These sites are at leading golf course facilities with experienced golf course superintendents giving real-world feedback on what they are observing. Grow-in, mowing, water use, disease or insect problems, cold tolerance, shade tolerance, etc, are all under review. Even the PGA Tour Agronomy department at the TPC Sawgrass has a Bladerunner Farms zoysia test site. Multiple U.S. test sites use zoysia for the tees, fairways, rough, and greens. Some of the industry’s most respected sod producers grow the Bladerunner greens grass Zoysias including Bladerunner Farms, Buy Sod, Pike Creek and now, Southland Sod in California. 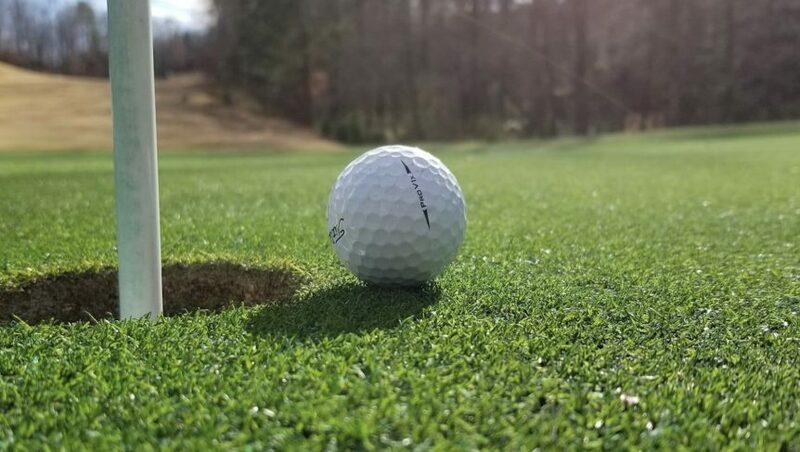 To learn more about the Bladerunner Farms greens-type zoysiagrasses, visit the Team Zoysia Booth #1825 at the Golf Industry Show, February 6 – 7 in San Diego.